There are many challenges to be faced - beliefs and attitudes are deeply entrenched and existing education and health systems do not have the capacity to provide the required services. But by focusing on realizing the Demographic Dividend with strong partnerships, adequate resources, good communication, high level advocacy and policy dialogue alongside a commitment to common goals, these challenges are not insurmountable. Our Demographic Dividend strategic focus is based on the ample global evidence suggesting that some key areas of investments need to be prioritized in policies and programmes to accelerate the demographic transition. West and Central Africa has one of the highest fertility rates in the world and with mortality rates falling, the region faces rapid population growth - especially amongst the young. With considerable health and education investments, this new generation could represent an unprecedented economic opportunity, known as the Demographic Dividend. A reduction in the high dependency ratio, bringing down the number of children and elderly people dependent on workers, could lead to resources being freed up for sustainable development in the region. • Health: supporting women and young people with better access to family planning and reproductive health services. • Education: encouraging girls to stay on at school, to acquire knowledge and skills to survive and thrive. Encouraging all young people to get skills training in high-growth sectors and meet labour market demands. • Economy: Advocating for inclusive growth and promoting productive employment and decent work for all, regardless of gender or age. • Governance: encouraging a healthy and stable political environment conducive to inclusive and gender-responsive governance, transparency and accountability. 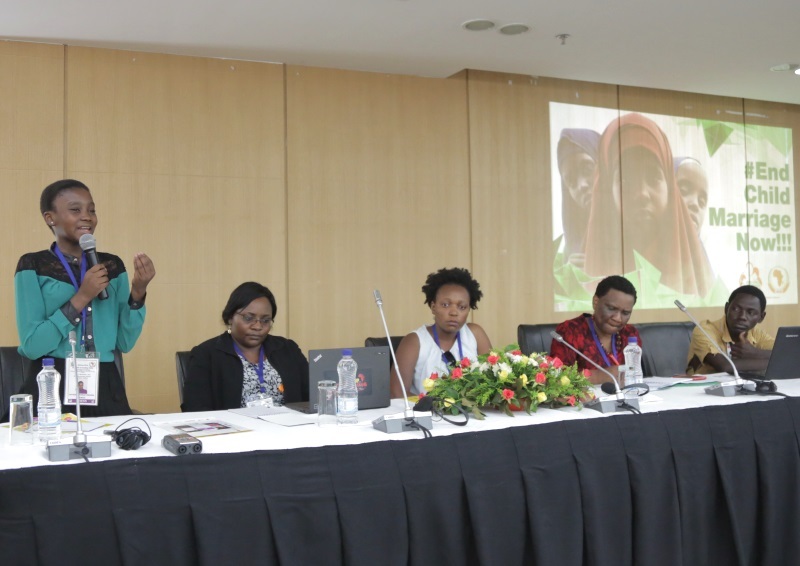 In 2015 we successfully helped launch a far-reaching and comprehensive programme in the Sahel Region to reduce fertility, child and maternal mortality and gender inequality - the Sahel Women Empowerment and Demographic Dividend (SWEDD) initiative. This ambitious 200 million USD programme, funded by the World Bank through a combination of grants and soft loans, will run for four years and allow us to work closely with our partners to tackle the extreme challenges the region faces. This ambitious 207 million USD programme, funded by the World Bank through a combination of grants and soft loans, will run for four years and allow us to work closely with our partners to tackle the extreme challenges the region faces. 27 February 2019 Launch of 2018 Progress Report on Demographic Dividend in West and Central Africa.